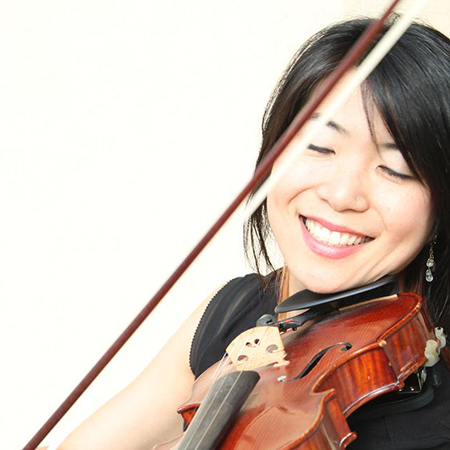 Miho Matsuo was born and raised in BC and began violin lessons at the age of 6. Her passion for meeting others through music and playing in small ensembles with friends, led her to pursue her Bachelor of Music at the University of Victoria. Upon graduating with distinction, Miho toured the country with the National Youth Orchestra of Canada and found teaching young children and youth to be both fascinating and rewarding. Understanding the significance of early music education and parent involvement through hands-on experience, Miho moved to Connecticut where she completed her Masters of Music in Performance and Suzuki Pedagogy at the Hartt School of Music, University of Hartford. Here, she received her Books 1-8 training with Linda Fiore and Teri Einfeldt, while observing the Hartt School faculty and other visiting Suzuki teacher trainers from around the US. In addition to early education, Miho spent a year in Boston, MA, studying music therapy and psychology, while observing the therapeutic benefits of music in various settings such as hospitals, educational institutions, and care homes. Since returning home, Miho has been enthusiastically involved with teaching students, working along side parents, and coaching small ensembles. Entering her fifteenth year of teaching, she continues to inspire the young and the ‘never too old’ and is often found celebrating their accomplishments along the way. Miho is an active member of the British Columbia Music Teachers Association and the Suzuki Association of the Americas.